This 5-star hotel is the perfect blend of luxury and comfort, with soft furnishings and striking modern art. You certainly won’t forget where you are in the world with huge picture windows everywhere, to let in natural light and allow spectacular mountain views. Each of the 48 rooms is well supplied with modern amenities, like free WiFi and a coffee maker, and there’s a good choice of sizes and views. The facilities match the top-notch status too. 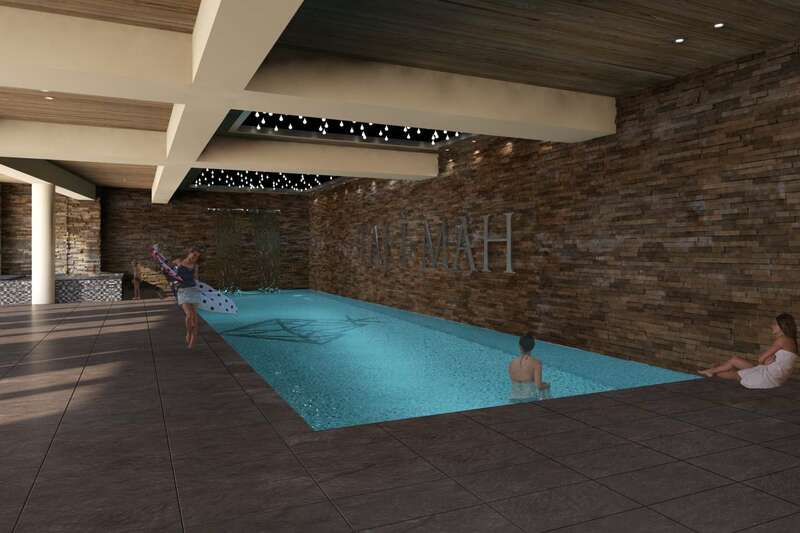 The beautiful wellness area has a large indoor pool as well as a sauna, steam room, whirlpool, salt wall, experience showers and relaxation area – plus there’s a team of beauticians on hand to help you relax and unwind with spa treatments or massages. Mealtimes are certainly something to remember here. 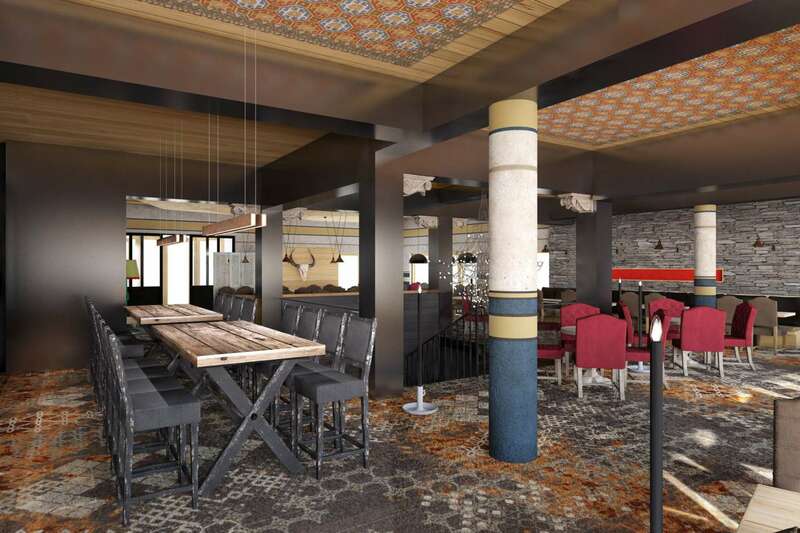 There are two restaurants to choose from; the casual L’Atelier d’Eric, which serves tasty home cooking and has a cosy atmosphere, or the gourmet Diamant Noir, run by Michelin-starred chef Eric Samson. 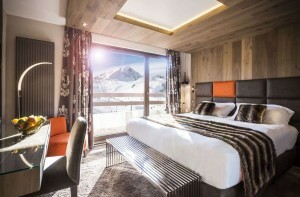 The Diamant Noir also has an outdoor terrace, with panoramic views of the resort and slopes. At the end of the day, you can sit back in the lounge bar and enjoy a couple of drinks and some live music. – Ski room and ski shop including drying system for gloves and shoes. The ski equipment is collected on the evening and prepared for the next day. Your equipment and skis are ready on the slopes in the morning. – 60 sqm business room fully equipped located 20 meters away in La Source des Arcs residence. 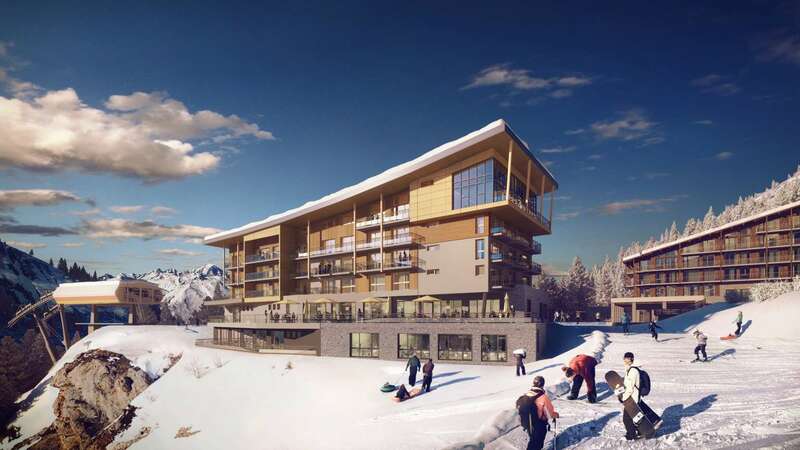 400 sqm are totally dedicated to well-being with a view over the ski slopes. Le Taj-I Mah offers a remarquable welness area including an indoor swimming pool, a sauna, a steam bath, experience showers as well as a relaxing area with salt wall. Its salin stones offers relaxing properties thanks to energising effects. It stimulates positivity to recover from stress and anxiety. To stay fit, a fitness room is located 20 meters away from the facility, in La Source Des Arcs residence. To treat yourself, enjoy a wide range of treatments and massages, practised by our beauticians. – The lounge bar that offers musical events. In a casual mood, it welcomes you every day from 9:00 am to 1:00 am. 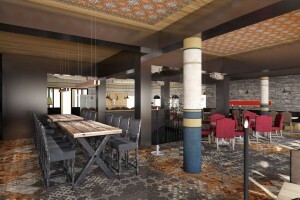 – Le Diamant Noir, a gourmet restaurant by the 1* Chef Éric Samson. It opens itself on an outside terrace and displays a panoramic view all over the resort; and opens from 7:30 am to 10:30 am, from 12:00 am to 2:30 pm and from 7:30 pm to 9:30 pm. – La Rôtisserie, a family cooking with grilled food/barbecue on menu. The courses are created by our Chef Éric Samson. Service takes place from 7:30 am to 10:30 am, from 12:00 am to 2:30 pm and from 7:30 pm to 9:30 pm.